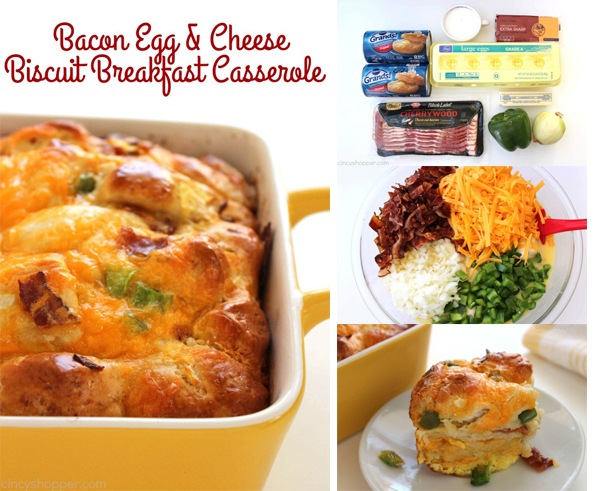 You need to make this super simple Bacon, Egg & Cheese Biscuit Breakfast Casserole. 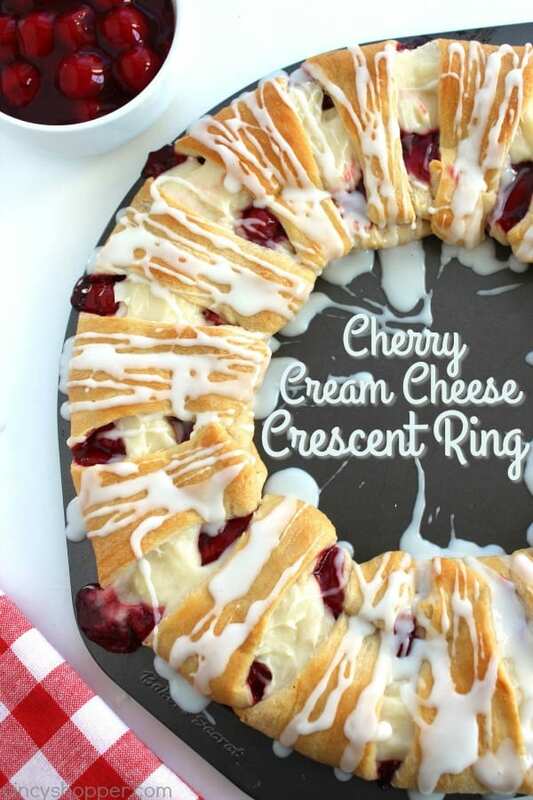 It’s great for feeding a crowd for holidays and brunches. 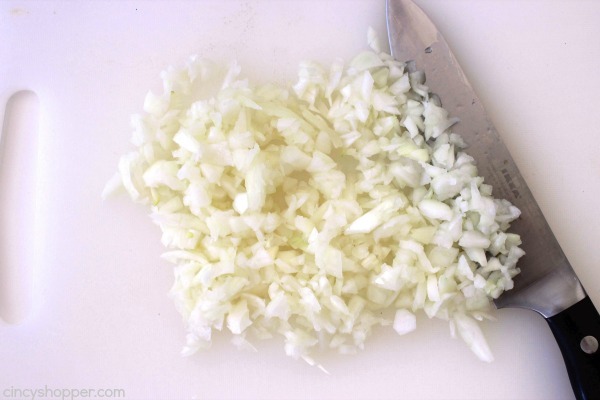 We loaded ours with lots of peppers and onions and it was AMAZING! With Easter coming this weekend, I was looking to have something simple to feed this big family of mine for breakfast. 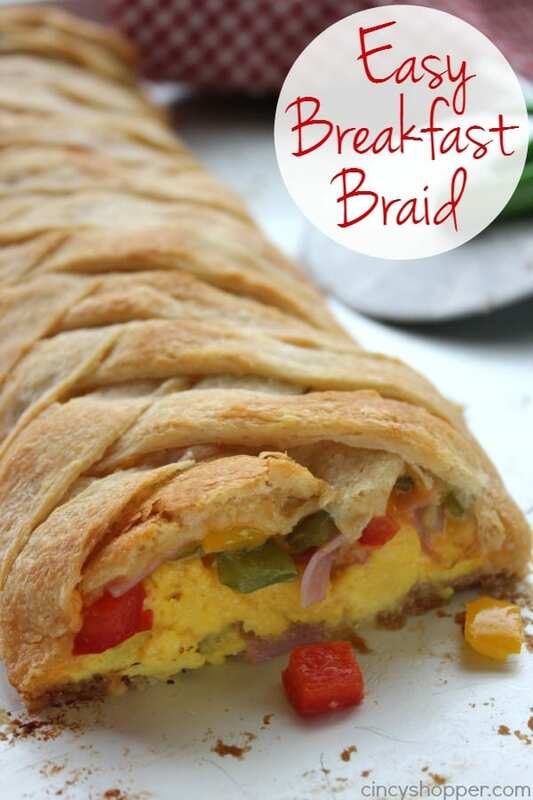 I considered making our favorite Breakfast Braid because it is simple. 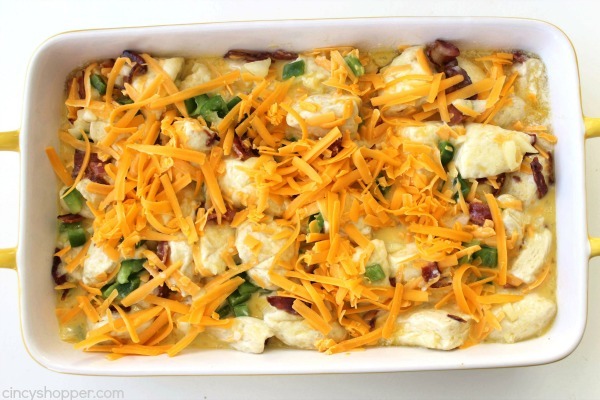 This past weekend, I was thinking of a breakfast casserole that I could prep ahead of time and toss in the oven would be best. 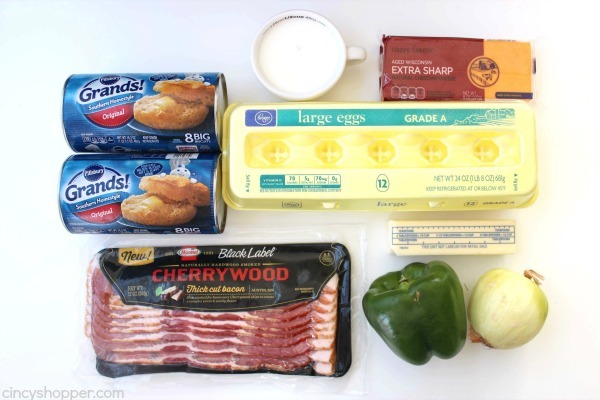 I grabbed some of our favorite breakfast ingredients and came up with this breakfast casserole that will be perfect for feeding our crew during the Easter morning craziness. 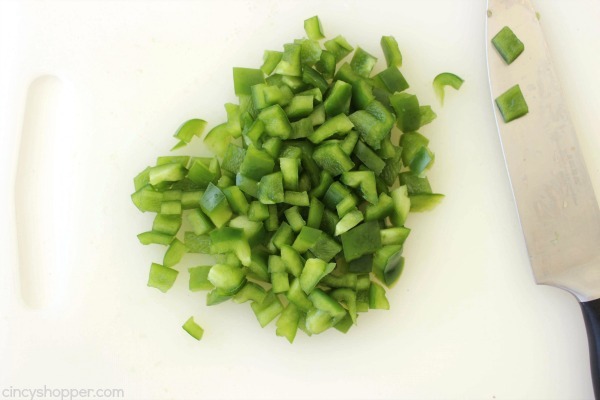 If I prep everything ahead of time, this will be so easy to make the night before or morning of. My hubby is a big fan of biscuits. 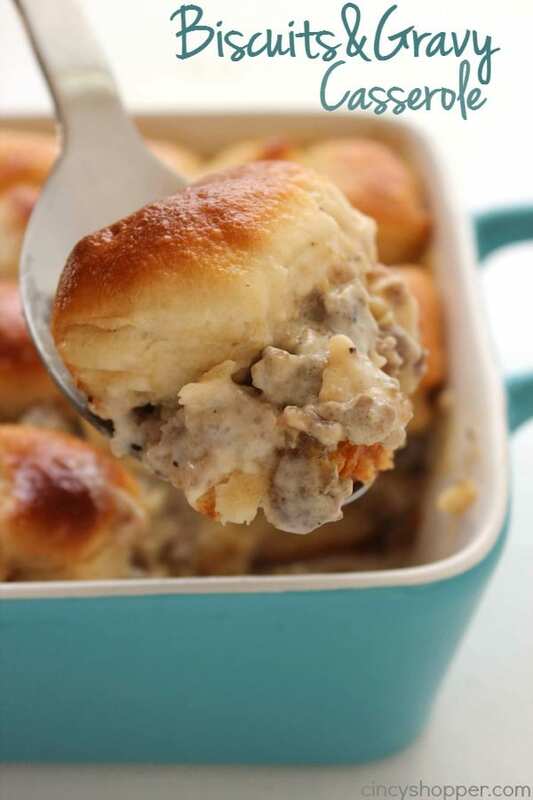 His favorite dish I have made happens to be our Biscuit and Gravy Casserole. 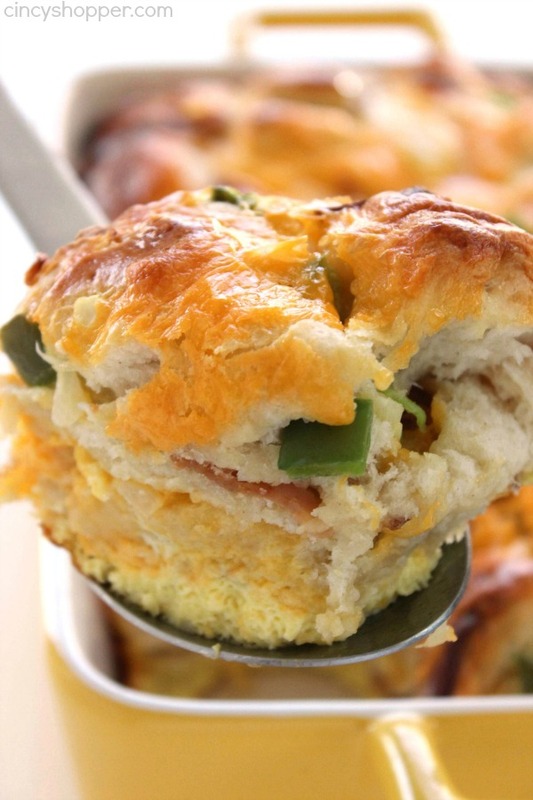 Biscuits are perfect for breakfast. 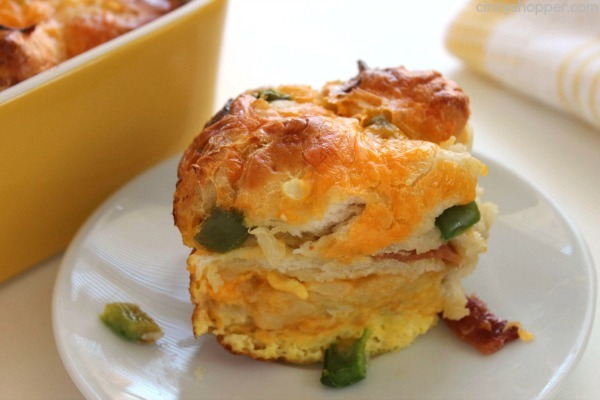 The combination of the bacon, eggs, cheese, onions, and peppers with the biscuits makes for a perfect dish. 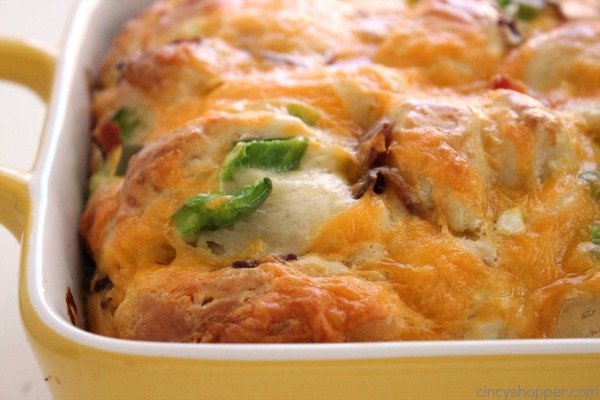 Super simple breakfast casseroles are always perfect for serving up on holiday mornings. 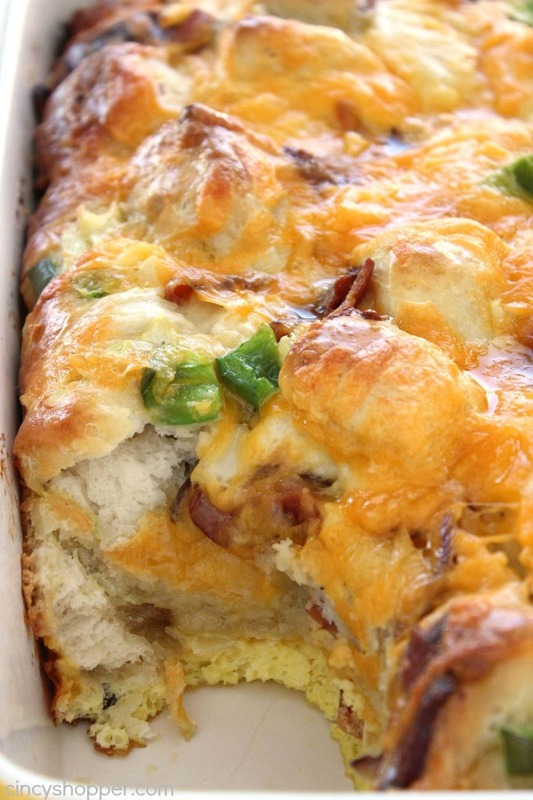 If you are looking to make this Bacon, Egg and Cheese Biscuit Breakfast Casserole, you can prep all of your meat and veggies ahead of time. You could even get everything all mixed and placed in your dish and refrigerate overnight (that’s what I plan to do for Easter morning). 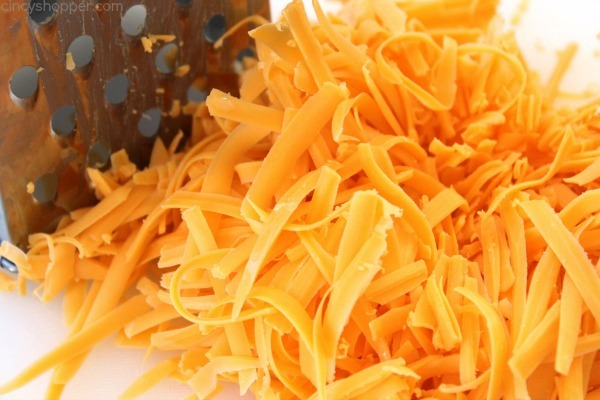 Then all that is needed is baking and cutting into squares. 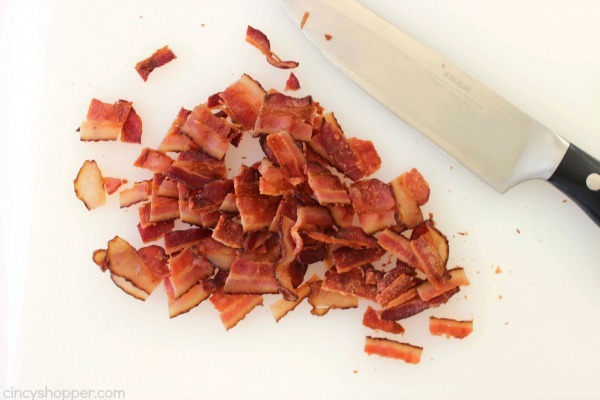 I bet it would be great with ham or sausage too! 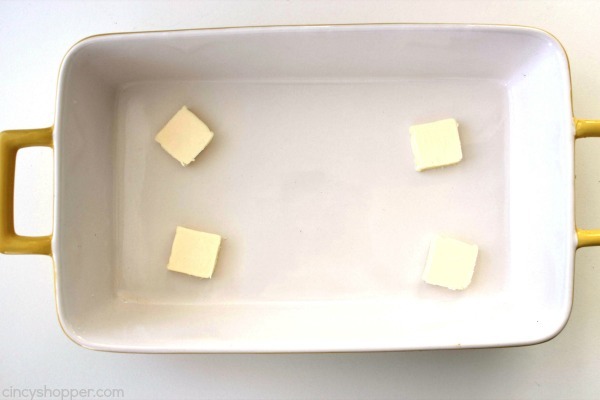 Coat 8×10 baking disk with melted butter. 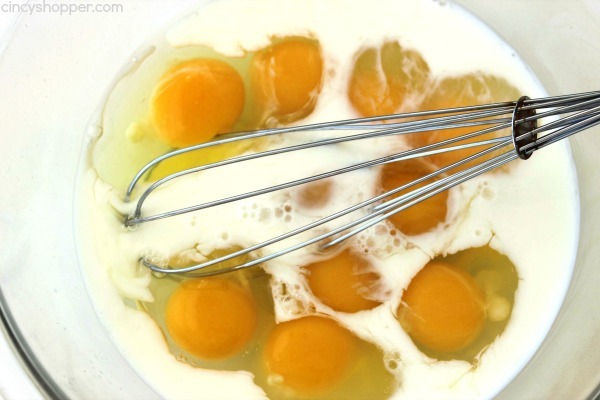 Beat eggs and milk in a large bowl until blended. 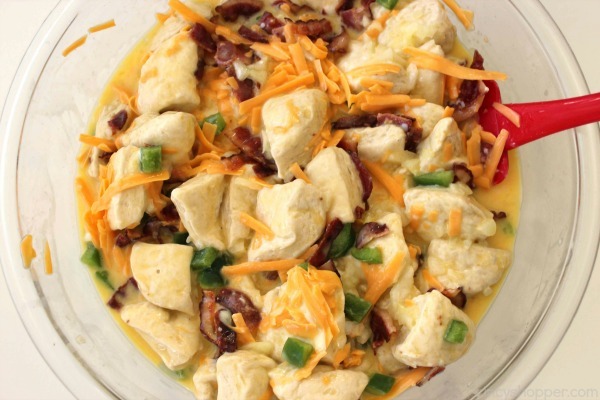 Add biscuits to egg mixture and toss to coat. 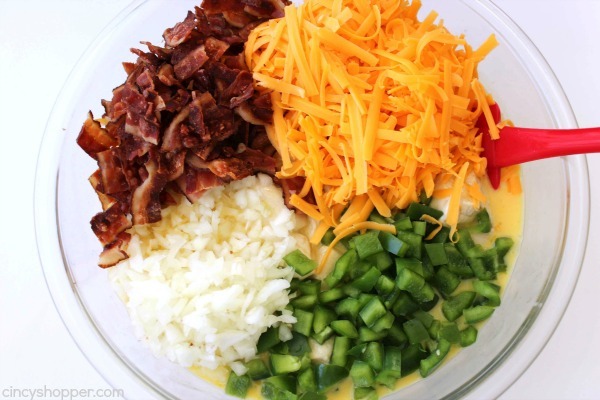 Add bacon, peppers, onions and cheese to bowl and mix together. 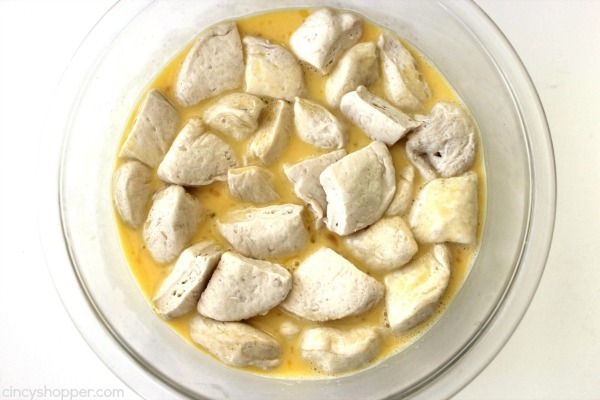 Transfer mixture to prepared dish. 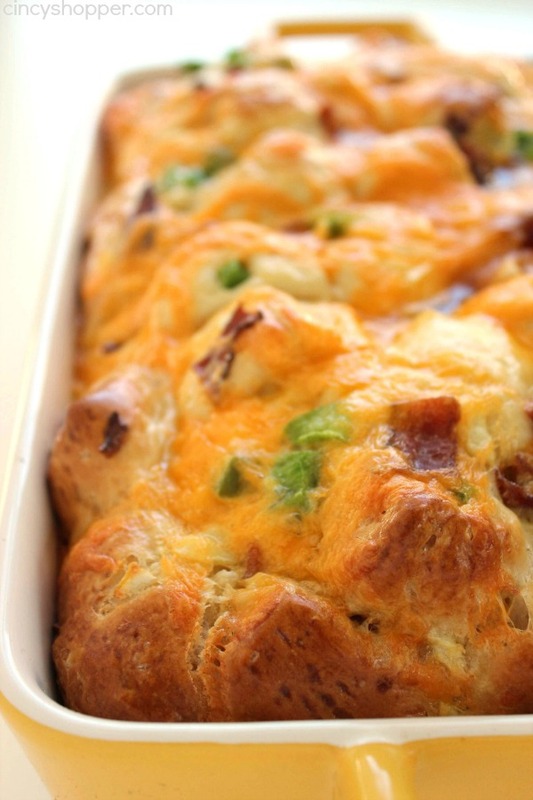 Cover top with aluminum foil and bake for another 30 minutes of until eggs are cooked through. 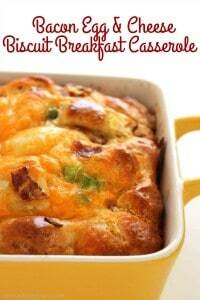 Do you have a favorite easy breakfast casserole you make frequently for holidays? Coat 8x10 baking disk with melted butter. 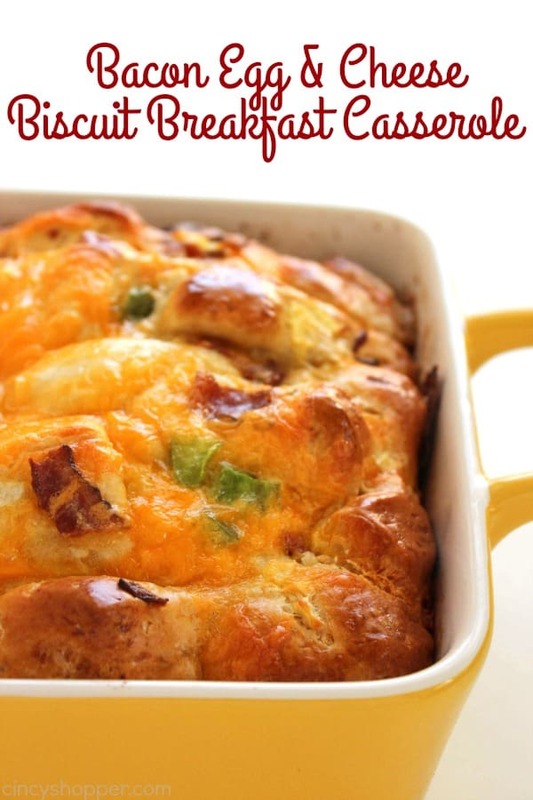 Jenn, I love to try a new breakfast casserole on the weekends. My oldest two kids who are in medical school and college normally come home. I try to fix a big breakfast. 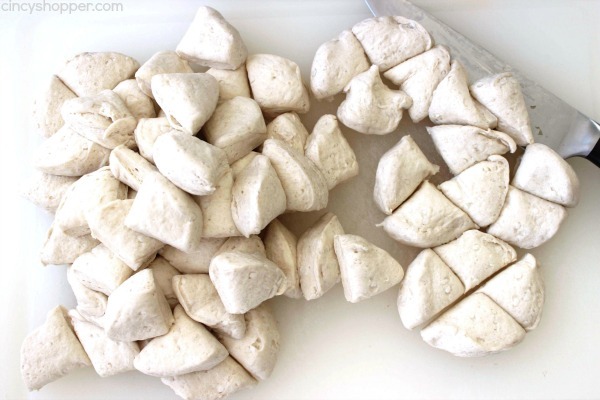 I love the Grands biscuits in this easy recipe. YUM! 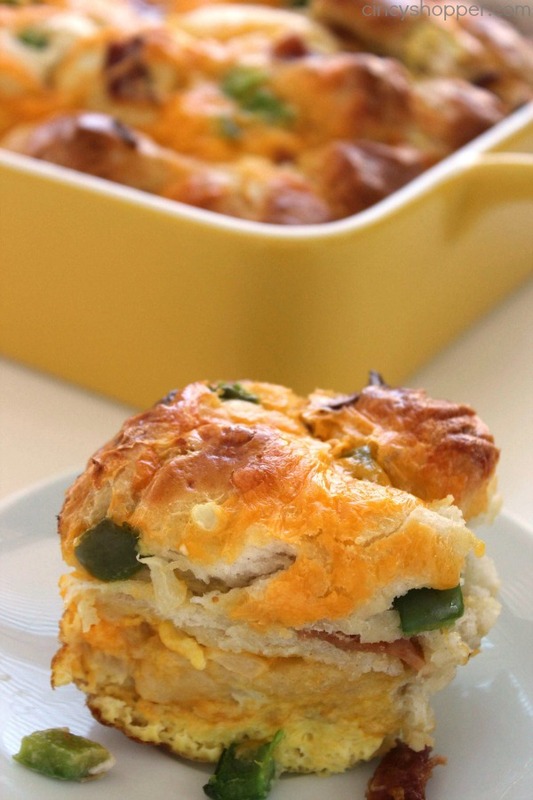 I really enjoyed reading the recipe for biscuit breakfast casserole, I am definitely trying it this weekend. I’m trying this recipe at home and I realize I have no aluminum foil for the second part of baking. Suggestions?